What is Door Armor? In this review, we will one of the best ways to secure a door from being kicked in. 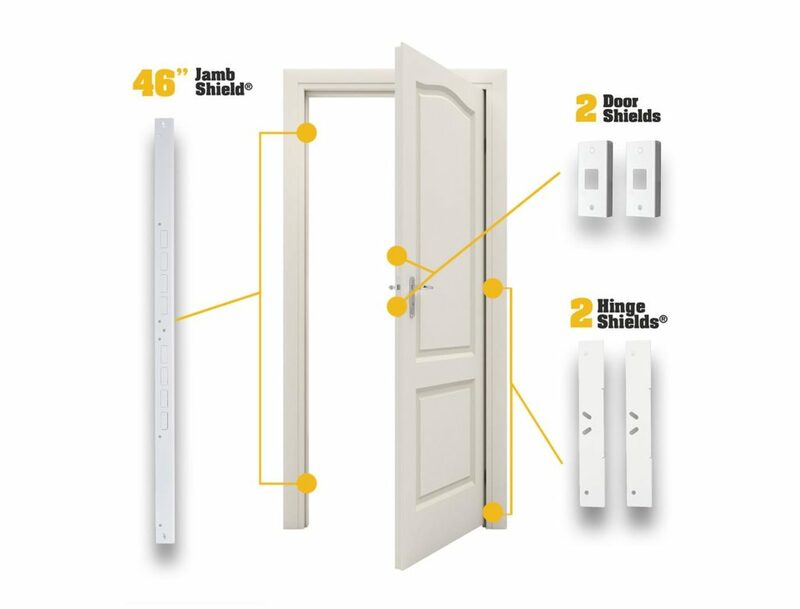 Simply put, Door Armor reinforces the weakest points of a door and door frame and makes them strong enough to stand up to a battering ram. There are many lenses through which you might view home defense. There is the vigilant mindset that usually involves someone with a gun going downstairs to greet intruders. This is a dangerous mindset that could get you killed or hauled into court. There is the alarm mindset that depends on the police showing up and intervening. We love the police, but they are always busy and can sometimes take 20-30 minutes to arrive at your home. The very best lens to view home defense and home security through is that of layered deterrents. Think about how to secure your home without an alarm (or in addition to). Or even how to stop burglars from targeting your home. That is why we are reviewing Door Armor by Armor Concepts. It’s a set of steel plates that reinforce your whole door system with deep screws to anchor it securely. Unlike the Mossberg shotgun, deterrents are designed to affect the mind of a criminal long before they approach your home. 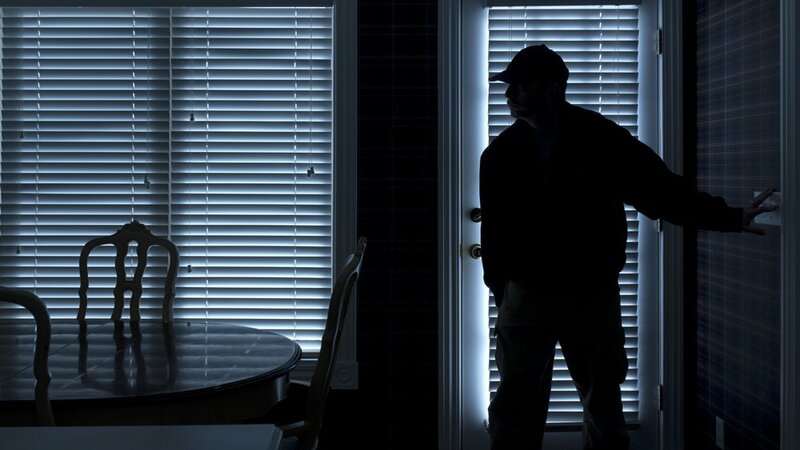 How your home is lit and how its presented can also do a lot to deter a burglar. These steps will go a long way to help you protect your home from burglary, theft, break-ins, you name it. When you see how hard it is to break down a door that is outfitted with Door Armor you will understand why it will deter criminals long before they get into the home. Even with a battering ram, Door Armor holds up! So let’s talk about Door Armor. Who is Door Armor For? Door Armor is ideal for owners of residential properties that are concerned about break-ins. These door reinforcement plates could be the perfect answer to outfit your property and assure they are more trouble to break into then they are worth. Additionally, this can be a huge savings to property owners. Perhaps you have a bug out location that you visit a few times a year. Door Armor will give you the ability to leave that location for months at a time, and what’s inside, with new confidence in dealing with break-ins. You do not want to arrive at your BOL to find it’s been looted. Finally and most importantly, it’s for homeowners. Door Armor offers protection that few other products, at that price, are capable of. It let criminals know that you are thinking about home defense and it will let you know someone is trying to break-in, long before it gets serious. The Door Armor Max Armor Set features three areas of protection. The door shields will protect your handle locks and deadbolts by covering them in steel plating. These are anchored in place by 2½ inch screws. The hinge shields will reinforce hinges and protect them from becoming detached. Stock hinges typically have tiny 1 inch screws that set them into the door frame! Those will be replaced with 3½ inch screws! 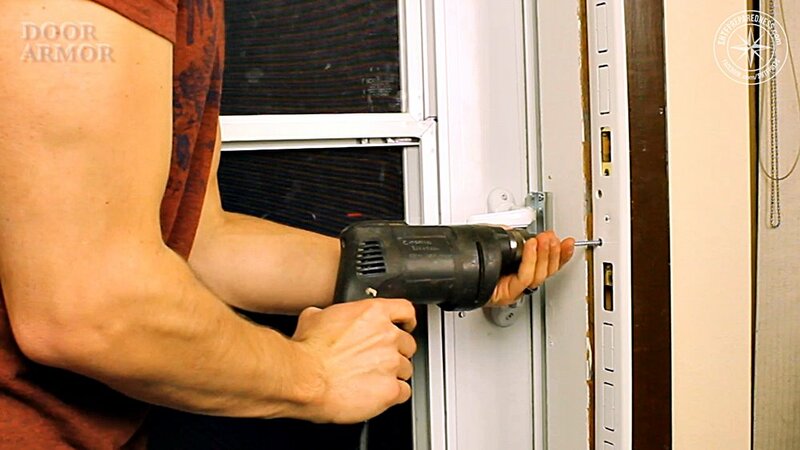 The strike plate, which is the thin piece of metal in the door frame that receives the deadbolt, is typically mounted to your door using 3/4 inch screws! How many kicks do you think those two puny screws can hold the door to the frame? The Jamb Shield is a powerful piece of steel that will cover and reinforce your door jamb and strike plate. This door jamb armor is a long piece of steel that anchors in three separate places with five 3½ inch screws. Combined you are looking at a system that virtually eliminates the possibility of a kick in. Someone’s leg will break long before this door comes down! 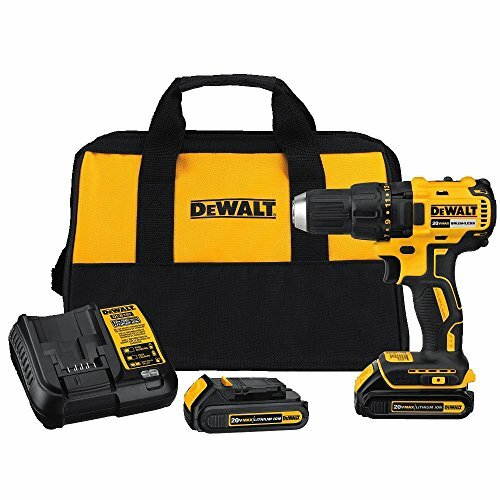 For installation, you are going to need just a couple tools. The screws and the square bit to anchor them are included. 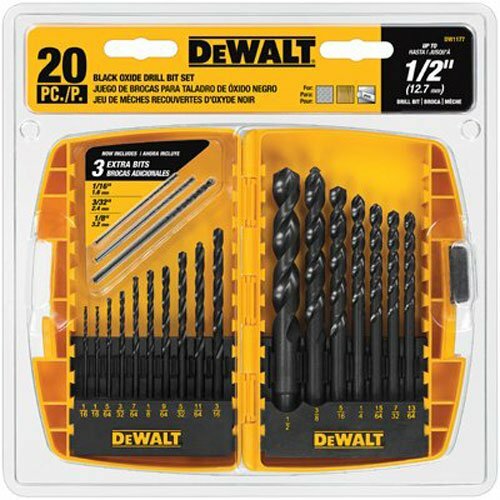 You will need a hammer, a power drill and a 9/64 drill bit to pre-drill the long holes. Once you have all of these items, installation of the door reinforcement plates takes about 20 minutes total. 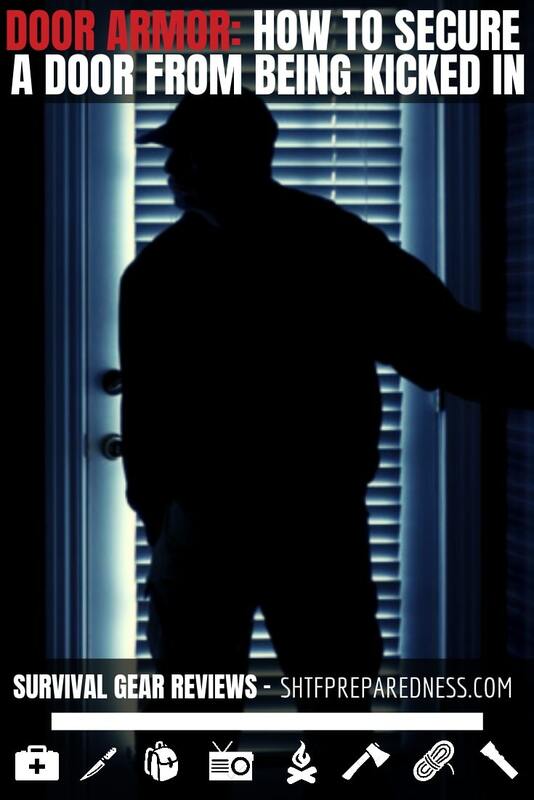 Most people turn to home alarm systems when it comes to home defense. These can be a great deterrent but they carry a monthly price tag. That is what makes them tough to sustain. Alarm systems will not secure your door from being kicked in. However, an alarm that makes a lot of noise can be very useful. What I like about Door Armor is that its a one time cost that significantly increases your home defense. This will seriously impact your ability to protect your home from burglary. This will also help to secure your home without the need for an alarm system. Instead of budgeting for a monthly alarm service, you can reinforce the doors of your home with this product. Know that the sheer act of trying to get past the Door Armor is going to create as much racket as a home alarm system. Do you want to bank your families safety on cheap foreign made products? Let’s not mince words. We have all tried to save a buck and buy something that we knew was going to fail on us. When you are dealing with American made steel and design it’s the best there is. Lay your head down at night and know that you have an American made product that stands between the monsters on the streets and your loved ones. 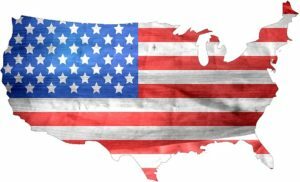 When it counts it’s always better to buy American and I can think of nothing that counts more. Beyond the fact that this product is affordable and American made, Door Armor is also police tested. 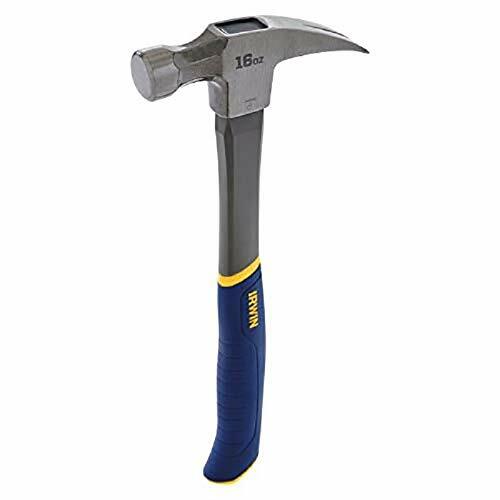 It has literally been hit with battering rams in the same ways the police would if they were looking to break into a home. Like I mentioned earlier, it’s going to break a limb long before it fails. That’s power you can depend on. The folks at ITS Tactical also did a great review on Door Armor that tested its might. Definitely worth a look. It’s important to note that the hinge armor takes a tight installation to assure it doesn’t affect the doors ability to close properly. Between the installation of each piece, you should take a moment to assure that your door is still true. I had to remove one of the hinge pieces and reinstall to get it just right. Your weather stripping can get in the way so it might need to be removed and reattached on the hinge side. However, it is well worth the extra effort to get it right and have that peace of mind. Home security in this day and age is no laughing matter. This is precisely why you need to learn how to secure your door from being kicked in. We can never know the intentions of the person trying to break-in. They watch our homes for weeks before deciding its the right one to break into. What they want inside remains a mystery. It could be valuables or it could be sheer violence. Many times its a combination. 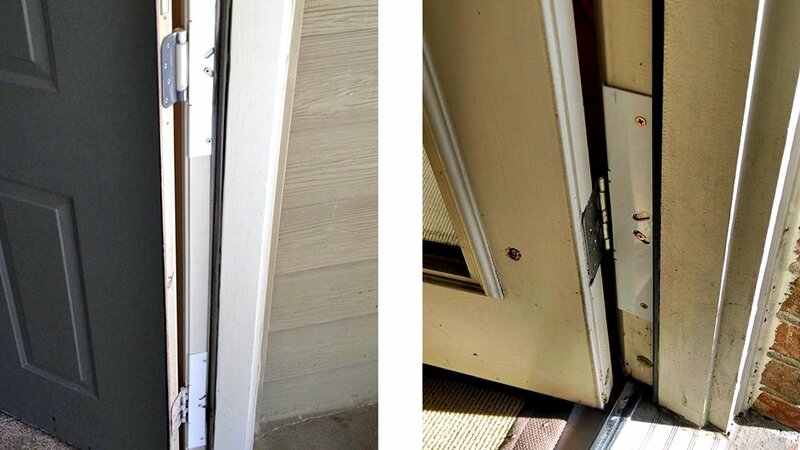 Door Armor will make your door nearly impenetrable by the average burglar. In a matter of minutes and a couple bucks, your doors can be protected. Watch our video review and take advantage of the 15% promo code that is offered to SHTFPreparedness followers!